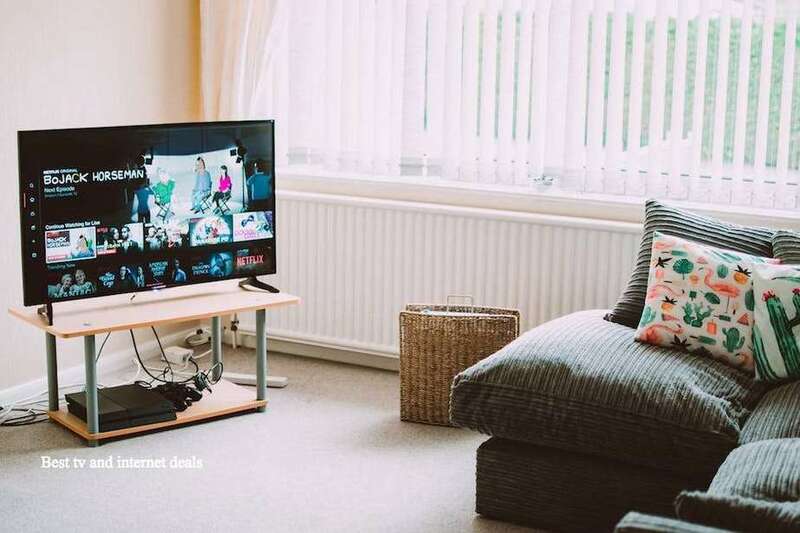 If you want to get home soon from a long and tiring day from work or school, watch your favorite TV shows and movies and have the freedom to stay connected online, you need to choose one from the best TV and internet deals. However, there is an overwhelming information available online with various providers competing and really offering good deals. While many reputable providers are genuine with their offer, some are too good to be true with hidden charges and contracts subjected to early termination fees and other charges. We want to help consumers make the right decision when it comes to choosing the best TV and internet deals, so we have compiled the best deals this year! Just sit back and relax, read and choose what’s best for you now! DirecTV and AT&T have a tight partnership and they are offering a good bundle so you can surf and stream for less. The internet includes up to 100Mbps which is reliable and fast speed. Get a high-speed internet with AT&T with 99% reliability. When it comes to the TV programming, you’ll get the Select Package from DirecTV. Enjoy streaming live TV and watching your favorite TV shows and movies. Also, watch recorded shows on multiple devices like your smartphone and tablet or any of your room through DirecTV app and HD DVR service. Enjoy DirecTV On Demand anytime and anywhere! This AT&T and DirecTV Bundle costs $75 a month plus taxes. For the first 12 months, you’ll be billed $80 plus taxes until discounts apply for Autopay and Paperless bill ($5 off). For the 13th to 24th months, standard rates apply at $118 a month. This bundle is inclusive of unlimited data allowance without extra charge at $30 value. It’s a good deal for the premium channel lineup from DirecTV and fast-speed internet from AT&T! 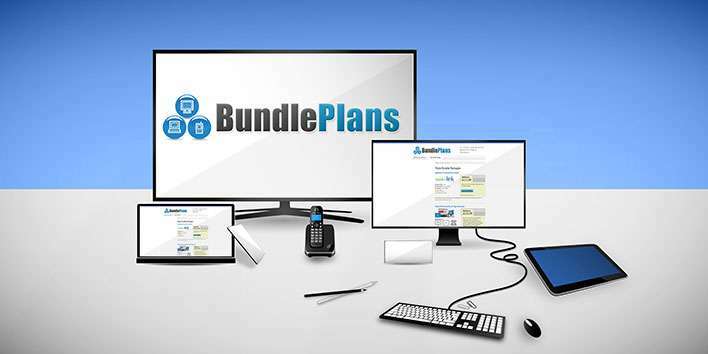 Build your own Internet and DirecTV bundle today. Verizon is one of the best providers of the internet in the United States with fast speed and superior reliability. 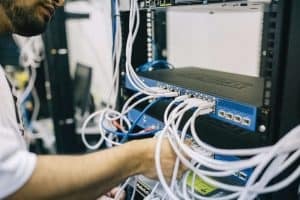 Verizon is currently offering DSL and fiberoptic Internet connections in selected areas. You can choose either one, making it is a great addition to your DIRECTV package. With Verizon high-speed Internet in a DSL connection, you get up to 12 Mbps download speeds. Paired with your favorite DIRECTV package, Verizon high-speed Internet makes a convenient and budget-friendly bundle. On the other hand, Verizon Fios is a 100% fiberoptic network that can provide download and upload speeds ranging from 50 to 500 Mbps. It makes a perfect connection for live streaming on your mobile devices via the DIRECTV app. DIRECTV plus Verizon Internet bundles truly bring you excellent services and unmatched reliability. You can call 1-877-917-8611 to check your area’s availability for DIRECTV + Verizon bundles. 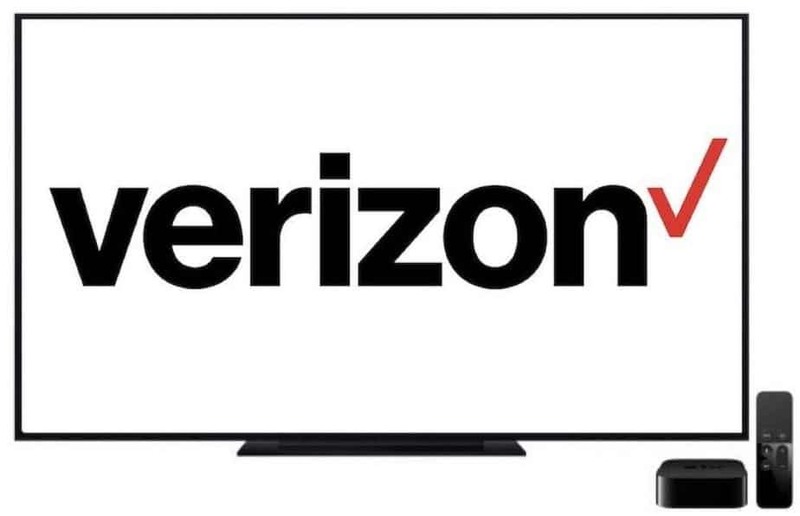 Verizon Fios is priced at $39.99 a month on top of your DirecTV package, offering download and upload speeds up to 50 Mbps. You can pair it with DirecTV Select package for $35 a month for 12 months and $78 a month for 13th to 24th month. These two companies are both leaders in satellite technology. HughesNet, like DirecTV, provides service all nationwide, so you can bundle your DirecTV and HughesNet Internet regardless of your location. HughesNet Gen5 is the newest generation of innovative HughesNet technology, wherein you’ll get faster speeds, built-in Wi-Fi, and more data. HughesNet is now better than ever. With DirecTV and HughesNet, expect to receive strong and consistent signals. For the pricing, HughesNet Plans starts at $49.99 a month with up to 25 Mbps and 10 GB data allowance. It also provides 50 GB free data from 2 to 8 AM or for off-peak hours. No extra charge if you go over your data limits but your data speed will be reduced. You can buy data coins to resume original data speeds. 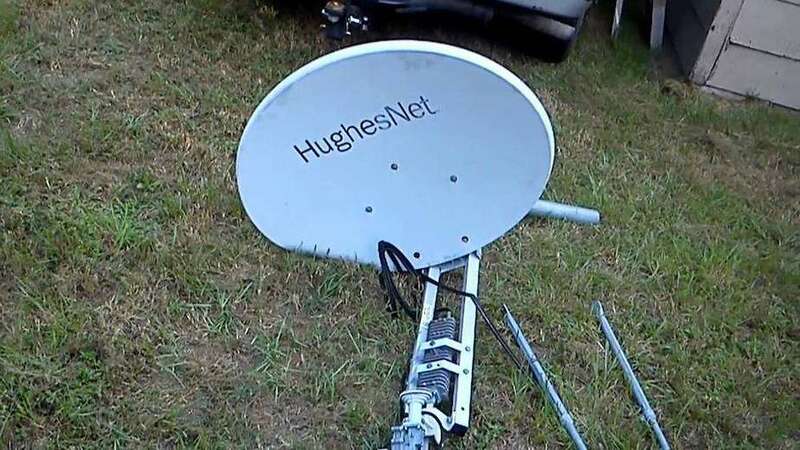 For both services, you’ll need a separate dish for HughesNet and DirecTV services even they use satellite technology. For your DirecTV package, you can get one as low as $35 a month plus taxes for the first 12 months and pay $78 after the first year until your 2-year contract ends. With CenturyLink and DirecTV Bundle you will get pure entertainment and consistent internet speeds. Do not let cable limit your capability to bundle your options. With DIRECTV and CenturyLink Internet bundles, you can always choose the suitable services for your home. Enjoy the best TV and internet deals from DirecTV and CenturyLink! CenturyLink Internet plans starts at $45 a month without overage fees. You can enjoy a download speed of up to 25Mbps and 1 TB data per month. Enjoy the online protection offered by CenturyLink@Ease. Enjoy your online activities such as streaming live TV and browsing the web. You’ll get 24/7 technical support, cloud backup, antivirus services, and identity theft protection powered by Norton. You won’t incur any overage charge if you exceed your data limit. CenturyLink and DirecTV provide cheap cable and internet that you can also bundle with voice with unlimited local and long distance calling. You can bundle your internet and your Dish TV package to get a cheap cable and internet. Internet plans start at $19.95 a month which you can bundle with your Dish TV package such as America’s Top 120 at $59.99 a month (190 channels), America’s Top 120+ at $69.99 (over 190 channels), America’s Top 200 at $79.99 a month (over 240 channels), and America’s Top 250 (over 290 channels). Dish has a dedicated department to answer any questions about satellite Internet, cable, FiOS, or other services for high-speed internet. It is easy to find the best TV and internet deals on your area based on the price, speed, and reliability with Dish Internet Bundles. The perks you’ll get bundling your internet with Dish includes $24 savings for the first 2 years, browsing the web up to 500Mbps speeds, 24/7 customer support, and the freedom to choose the best TV channels and internet plan for you. Now, you can stream live TV, send emails, listen to music, and check your social media account conveniently at home without stress and hassle. 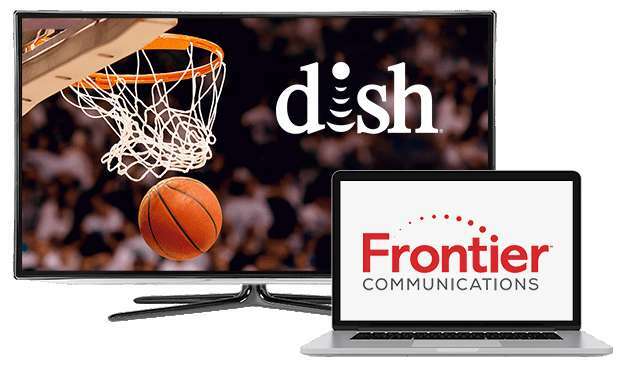 Dish is partnered with Frontier for its Internet offers. Xfinity has different packages at different price points, giving a guarantee that you’ll find one of the cable and internet deals to fit your taste and your budget. The Digital Starter pack is perfect if you are just getting started with more than 140 channels such as ABC Family, Cartoon Network, Animal Planet, IFC, and HGTV so everyone can tune in to their favorite TV shows. The Digital Preferred package has more than 220 channels for more variety of channels like MTV, The Science Channel, Nicktoons, and VH1. Xfinity is one of the top 10 TV and internet providers with everyday low prices on their packages. 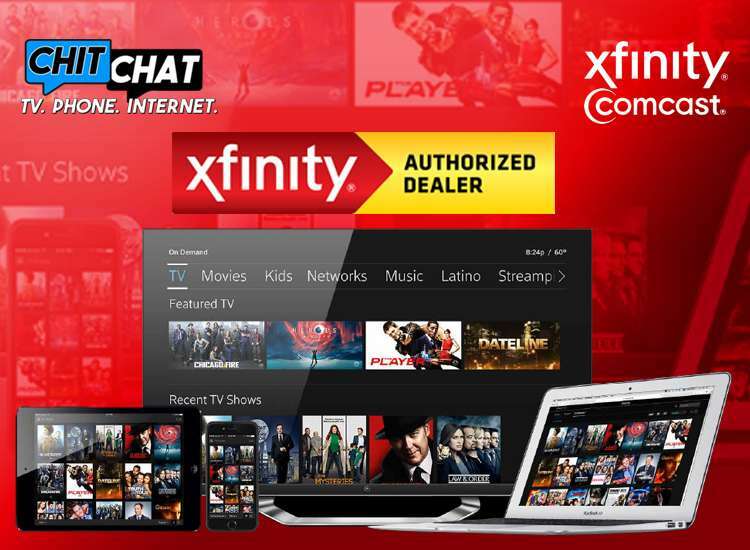 Get more savings on your Xfinity TV package by bundling with your Internet and phone service. Enjoy the excellent coverage, reliable service, and quick speeds all at great prices. Xfinity has up to 105 Mbps download speeds, providing you with some of the fastest speeds in the industry. 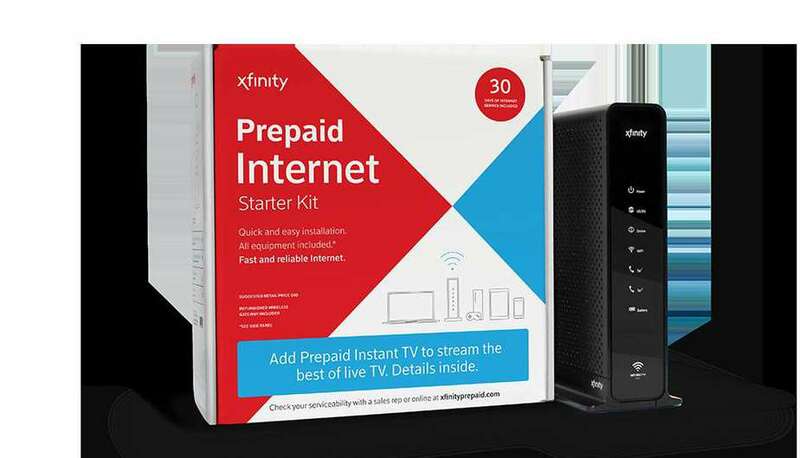 The Xfinity X1 Digital Starter is priced at $84.99 a month recommended for 1 to 3 devices for browsing and checking email, online gaming, and HD video streaming. For those needing Spanish channels, we recommend the Latino Limited Basic and XI Performance Starter with service agreement at $39.99 a month for 12 months for the same online activities like the Xfinity X1 Digital Starter. Also, Comcast Xfinity offers Digital Starter and Performance Internet with more than 140 channels and internet up to 25 Mbps priced at $79.99 a month for the first 12 months. Bundle Dish TV and HughesNet Broadband Internet to save more monthly. This is one of the best TV and internet deals this year that features a built-in Wi-Fi, 3 Mbps upload speeds, 25 Mbps download speeds and a bonus zone of 50 GB per month of free data from 2 to 8 AM. These two companies assure their customers the best cable and internet deals without hard data limits. Enjoy the SmartTechnologies Data Saving and Video Data Saving Features. For your internet, you can choose from HughesNet’s different plans and bundle with your Dish TV to get a good discount. They offer 10 GB Internet Plan at $49.99 a month which is perfect for single users or couples who are passionate about getting fast-speed internet. You can get more data with 20 GB Internet Service at $59.99 a month, which is perfect for a small family who loves surfing the internet. If you want to get more data for multiple devices with a large appetite for fast-speed data, opt-in to 30 GB Internet package at $79.99 a month. The most data is the 50 GB Internet Plan, that keeps the entire household connected without speed reduction. Choose your internet plan and your Dish TV package to get a cheap TV and internet deal. Dish TV packages include America’s Top 120 at $59.99 a month (190 channels), America’s Top 120+ at $69.99 (over 190 channels), America’s Top 200 at $79.99 a month (over 240 channels), and America’s Top 250 (over 290 channels). Xfinity is one of the top 10 TV and internet providers offering everyday low prices on their packages. Enjoy the excellent coverage, reliable service, and quick speeds all at great prices. Get more savings on your Xfinity TV package when you bundle with your Internet and phone services. Xfinity has up to 105 Mbps download speeds, providing you with some of the fastest speeds in the industry. Xfinity has different packages at different price points, giving a guarantee that you’ll find one of the cable and internet deals to fit your taste and your budget. The Digital Premier and Performance Pro provide more than 260 channels up to 75 Mbps download speeds with HBO, Showtime, Starz, Cinemax, and TMC for only $109.99 a month for the first 12 months. Save more on your Xfinity TV package when you decide to bundle with your Internet and phone services. Xfinity provides up to 105 Mbps download speeds at cheap cable and internet deals, which provides you some of the fastest speeds in the market. Xfinity is considered as one of the top 10 TV and internet providers today which offers everyday low prices on their packages. Enjoy the excellent coverage, reliable service, and quick speeds all at great prices. Xfinity offers different packages at varying price points, so you can find one of the best cable and internet deals that fits your taste and your budget. The Preferred XF Double Play Comcast Xfinity provides more than 220 channels with Showtime included. The internet provides up to 75 Mbps download speeds. This is a cheap cable and internet priced at $89.99 a month for the first 12 months. The Triple Play Select of Charter Spectrum offers more than 125 channels with free high-definition channels. Now, you can enjoy the best family programming, news, and sports at home anytime. It has 100 Mbps internet which is reliable and fast. Also included is unlimited nationwide calling up to 28 phone features available. 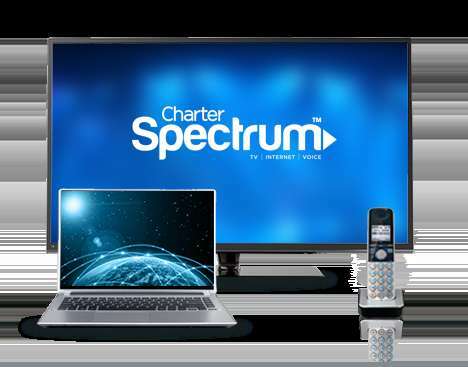 The Charter Spectrum Triple Play Select is priced at $99.97 a month for 12 months. You’ll also able to access thousands of popular or On Demand choices like watching HD and movies in 3D, live TV streaming, and Spectrum TV App On Demand content. You can access your desired network TV apps. Get a free internet modem, online protection, and no data caps. 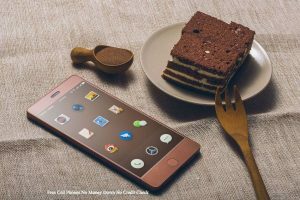 You’ll get unlimited long distance and local calling in the United States, Canada, Guam, US Virgin Islands, Puerto Rico, and Northern Mariana Island. The Charter Spectrum Triple Play Silver provides 175 Channels with free high-definition channels. This is priced at $119.97 a month for 12 months when bundled. For the TV programming, you’ll get over 175 channels with free HD included and premium channels like HBO, Showtime, Cinemax and NFL Network. Enjoy watching MAX GO, HBO GO, and Showtime Anytime. You’ll also able to access thousands of popular or On Demand choices like watching HD and movies in 3D, live TV streaming, and Spectrum TV App On Demand content. You can access your desired network TV apps. For the internet, enjoy 100 Mbps internet which is reliable and fast. Get a free internet modem, online protection, and no data caps. Also included is unlimited nationwide calling up to 28 phone features available. You’ll get unlimited long distance and local calling in the United States, Canada, Guam, US Virgin Islands, Puerto Rico, and Northern Mariana Island. Managing your home phone is possible from anywhere with the Voice Online Manager without extra cost for customers who are subscribed with Spectrum Voice and Internet. The Charter Spectrum Triple Play Gold offers more than 200 Channels with free high-definition channels. You can enjoy a full Silver package with premium networks. This package is priced at $139.97 a month for 12 months when bundled. The premium channels include Showtime, TMC, STARZ ENCORE, HBO, Cinemax, STARZ, NFL Network, and NFL Redzone. You can also watch MAX GO, Showtime Anytime, HBO GO, and STARZ app. You’ll also able to access thousands of popular or On Demand choices like watching HD and movies in 3D, live TV streaming, and Spectrum TV App On Demand content. You can access your desired network TV apps. Mediacom provides cable and internet deals like the Triple Play with Family TV, Phone, and Internet 60. Mediacom was founded in 1995 and it’s currently as the 7th of the top 10 TV and internet providers in the United States with over a million subscribers. Mediacom is proud to provide digital TV, cable, home phone, and internet access to 1500 suburban communities outside of metro areas. Mediacom has invested billions of dollars in fiber-optic infrastructure, bringing Gigabit internet speeds to more consumers, thus improving the quality of life in smaller cities of the United States and driving economic development. With Mediacom Tripleplay, you don’t have to sign-up to any contract, and just pay $128.39 a month. You’ll get Internet 60, Family Tvand phone services. Get 60 Mbps of download speeds, more than 200 channels, and applicable for 4 to 7 devices. It is suitable for various online activities like checking email, browsing the web, 4K video streaming, large file sharing, and online gaming without lagging. Now, you can enjoy local, entertainment and sports channels with Mediacom Triple Play while enjoying staying connected online and with friends and family! Mediacom is a trusted and reputable company which was founded in 1995. Mediacom is one of the top 10 TV and internet providers in the United States more than one million subscribers. Mediacom boasts digital TV, cable, home phone, and internet access to 1500 suburban communities outside of metro areas. Mediacom invested billions of dollars in state-of-the-art fiber-optic infrastructure which brings Gigabit internet speeds to more American consumers. This will improve the quality of life of people living in smaller cities and driving economic development. Mediacom Internet 60 and Family TV is priced at $79.98 a month. You’ll enjoy Internet 60 and Family TV. Get 60 Mbps of download speeds, more than 200 channels, and applicable for 4 to 7 devices. Enjoy a hassle-free checking of email, browsing the web, 4K video streaming, large file sharing, and online gaming without lagging. Watch and enjoy local, entertainment and sports channels with Mediacom Triple Play while enjoying staying connected online! Cablevision is considered as one of the most trusted and reputable names when it comes to entertainment services, and it has further taken its services to the higher level. The packages of Optimized Cablevision feature the instantaneous Optimum Cablevision internet, the flawless Optimum Voice home phone, and unlimited Optimum TV channels. Optimum provides speeds up to 400 Mbps, so you’ll definitely find cheap cable and internet services plus voice. Find one that fits your budget and your digital lifestyle. Now, you can connect clearly with more than two million WiFi hotspots nationwide! The Optimum Select TV plus Optimum 200 and phone start at $89.99 a month with a 2-year price guarantee plus fees, taxes, and other applicable charges. Enjoy being connected online up to 200 Mbps download speeds and watch TV with more than 220 channels. You can also enjoy thousands of programs with the free On Demand and free Showtime, Starz, and Netflix for 1 year. Watch at any room with free Cloud DVR good for 6 months too! 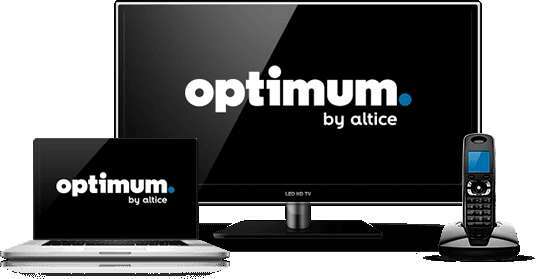 Households looking for the best home entertainment, phone, and internet services, the Optimum is the big word! Cablevision is one of the top 10 TV and internet providers, taking its excellent services to the next level. With Optimized Cablevision packages featuring the instantaneous Optimum Cablevision internet, unlimited Optimum TV channels, and the flawless Optimum Voice home phone, you expect to get the best TV and internet deals. Optimum provides speeds up to 400 Mbps, cheap cable and voice. Now, you can connect crystal clear with your home internet or from more than two million WiFi hotspots nationwide! Find one that fits your budget and your digital lifestyle. The Optimum Premier TV plus Optimum 400 and Phone is priced at $129.99 a month with 2 years price guarantee plus fees, taxes, and applicable charges. Enjoy the best channels with over 340 and up to 400Mbps download speeds. You’ll also get HBO, Starz, and Showtime as well as Netflix free for 1 year plus free Cloud DVR also free for a year. Cablevision is now offering Optimum Core, one of the best TV and internet deals available in the market today! As we all know, Cablevision most trusted and reputable names in entertainment services, and it continues to upgrade and improve its services. The packages of Optimized Cablevision feature a flawless Optimum Voice home phone, great Optimum TV channels, and reliable and consistent Optimum Cablevision internet. Optimum provides internet speeds up to 400 Mbps, so you can now find one that really fits your budget and digital lifestyle. Just imagine being able to connect clearly online with more than two million WiFi hotspots nationwide in the United States! With the Optimum Core TV plus Optimum 200 and Phone Package, you will get 200 Mbps, more than 220 channels, and unlimited calling nationwide for only $79.99 a month for 2 years. Enjoy being connected online up to 200 Mbps download speeds. You can also enjoy thousands of programs with the free On Demand and premium channels for 1 year. If you are looking for the best home entertainment, phone, and internet services, then it is worth considering Optimum. Get U-verse TV and internet today at only $75 a month good for 12 months and standard rates apply at $121 a month for 13 to 24 months. AT&T Internet, previously called as AT&T U-verse, is a high-speed internet that is provided over a modern and advanced digital network. 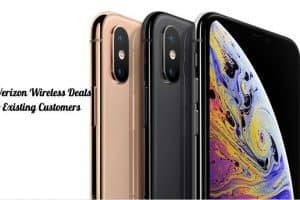 You can also purchase an Unlimited Data Allowance separately for only for an extra $30 a month or just maintain the TV and internet bundle on a combined bill and you’ll receive the Unlimited Internet Data for free! This is one of the best TV and internet deals. Just please be reminded that there is an activation fee of $35 and Early Termination fees applicable should you terminate your contract before it ends, which is $15 a month for TV and also $15 for the internet. Maintain Autopay and Paperless billing to get this offer. 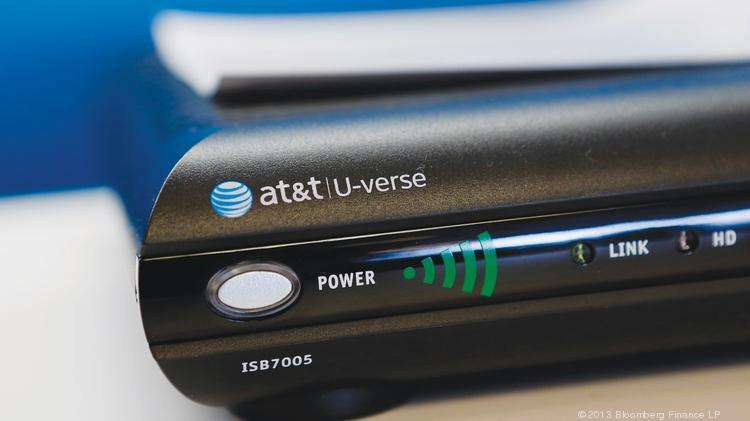 AT&T U-verse TV and Internet also offer other cable and internet deals such as $95 a month for U200 All Included plus Internet, $100 a month for U300 All Included plus Internet, and $150 a month for U450 All Included plus Internet for first 12 months. After 12 months or loss of eligibility, standard rate applies. Cox is currently one of the top 10 TV and internet providers. You can now save a bundle with Cox! Get all your favorite channels or TV entertainment and reliable internet plan with just one payment or single bill to Cox Communications every month. You can surf the internet anytime and watch your favorite TV shows and movies with the Bronze Duo. It is very affordable at only $89.99 a month. Amazingly, you can personalize the way you watch TV with Contour, which is a guide and an application that learns the shows you like or dislike, thus making customized recommendations for future shows and movies. Cox Bronze Duo is one of best TV and internet deals that come with a price guarantee of 12 months for only $89.99. You’ll get more than 140 channels and On Demand, and internet service with 100 Mbps download speed and 5 Mbps Upload speed. This package also includes an HD receiver. Cox offers 30 days money back guarantee if you’re not satisfied with their service. Cox is one of America’s top 10 TV and internet providers today. 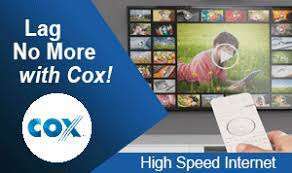 Get great savings with a TV and internet bundle with Cox! Get all your favorite channels or TV entertainment and reliable internet plan with just one payment or single bill to Cox Communications every month. You can watch your favorite TV shows and movies and enjoy the fast-speed with Silver Double Play for only $109.99 a month that will give you more than 140 channels and internet speeds of up to 300 Mbps. Also, if you need more channels, try the Cox Gold Double Play. This is one of the best TV and internet deals priced at $129.99 a month for 1 year and 2 years service agreement. Enjoy watching your favorite TV shows and movies and enjoy the fast-speed with Gold Double Play giving you more than 250 channels and internet speeds of up to 300 Mbps. CenturyLink Internet plans starts at $45 a month on top of DirecTV package without overage fees. Internet plans start at $19.95 a month which you can bundle with your Dish TV package such as America’s Top 120 at $59.99 a month (190 channels), America’s Top 120+ at $69.99 (over 190 channels), America’s Top 200 at $79.99 a month (over 240 channels), and America’s Top 250 (over 290 channels). 1. It is important to check the availability of TV and internet coverage in your area. You can do this by visiting the website of the provider and entering your zip code before signing up to any form of contract. While some companies offer a 30-day money back guarantee, it will just be a waste of time and effort having everything set-up and giving-up the service at the end. 2. It is crucial to check your data requirements. How much data do my family members really need? What are the online activities we usually do? There are many telecom websites offering free data calculator to automatically compute how much data you need based on the online activities you do such as checking emails, listening to music, streaming videos, browsing the net, and others. 3. For your programming needs, it is essential to know the number of channels included on the TV package and the entire bundle, including the number of English and Spanish channels if you’re watching them. Great sports channels like ESPN, TNT, and Fox Sports, are also worth checking if you are a sports fan. For instance, DirecTV offers the best sports packages so far. When it comes to the TV add-ons, check the contract and hidden fees included such as automatic charge after a free trial of HBO, Starz, Cinemax, or Showtime. 4. Always read the fine print to make sure the real deal you are trying to enter because it contains the most crucial information about the services you will get the fees involved. You’ll find disclosures pertaining to the applicable fees and charges for the free services given in a specific period of time, the duration of the discounts, and the expiration of deals. Usually, standard rates or prevailing rates apply after the first year with 2 years contract. 5. It is best to work with a company that is transparent with you upfront without hidden charges of increasing rates upon the duration of your contract. The ad or marketing strategy a provide uses can be very appealing. However, many are too good to be true. You may just end up paying more with additional charges at the end than actually saving money. Of course, everything will be on the fine print. So it is best to talk with a customer service representative to get an actual quote. 6. Read product reviews and customer testimonials. You can also interview family and friends, even colleagues, who have the experience of dealing with your prospective company offering the package to get a better idea of how it works. With the very competitive market TV and internet providers face today, they are offering great packages and special deals. However, you need to be vigilant and smart to ensure you’ll not be surprised with your bill later on. We have just provided you with the best TV and internet deals this year so you have very good options to choose from. It’s essential to check the service availability in your area and your programming needs in order to narrow your search and pay only for the services that are best for you.